NEW ALBANY, IN, (Nov. 13, 2013) – The Indiana University Southeast Theater Department is bringing a classic musical up to bat for its fall show, and offering a special feature for all the ladies out there. 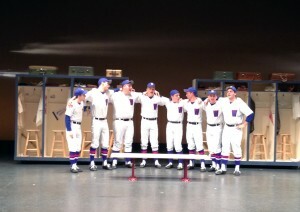 The cast performs the song “Heart” from “Damn Yankees” for the WDRB Fox 41 Morning Show on Wednesday, Nov. 13. “Damn Yankees” continues this weekend at the Paul W. Ogle Cultural and Community Center at IU Southeast, and Saturday is Ladies Night at the theater. Each lady who shows up to the 8 p.m., Saturday, Nov. 16, performance will receive a free mini Louisville Slugger bat courtesy of Louisville Slugger. “Damn Yankees” features a middle-aged baseball fanatic, Joe Boyd, who trades his soul to the Devil, also known as Mr. Applegate, for a chance to lead his favorite team to victory in the pennant race against the New York Yankees. As young baseball sensation Joe Hardy, he transforms the hapless Washington Senators into a winning team, only to realize the true worth of the life he’s left behind. Joe ultimately outsmarts Applegate, returns to his former self, and shepherds the Senators to the World Series. 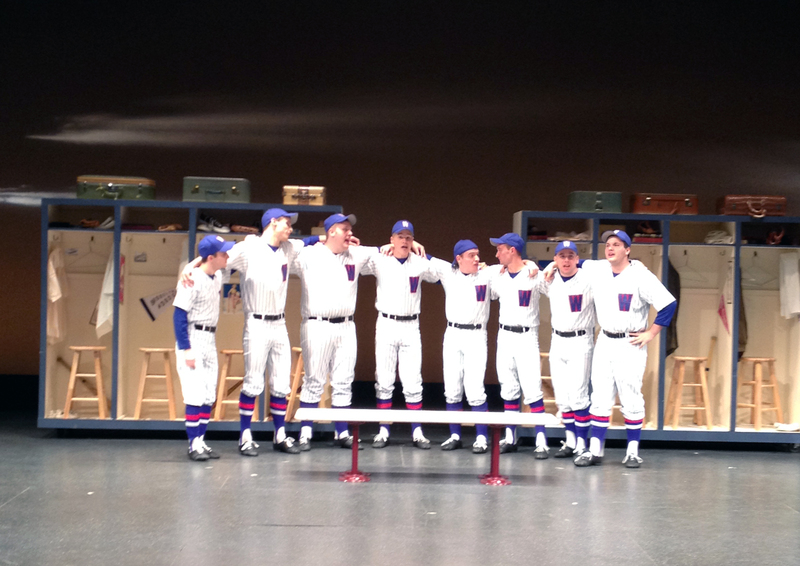 “Damn Yankees” will be onstage at 8 p.m. Nov. 14-16 and at 2:30 p.m. Nov. 17. Tickets are $12 for adults and $6 for students, seniors, and IU Southeast faculty and staff. Tickets are available at the Ogle Center ticket office or by calling (812) 941-2525.